When dealing with the form 13F EDGAR filing task, the first action compliance officers usually take is to search for “13F Excel” or “13F CSV” on the web, in the desperate hope that one might find the list in an accessible, structured form. The thought of searching through a clunky PDF is too much to bear. With FundApps’ automated Shareholding Disclosure service, most of the difficult work is done for you. Our platform sources the latest 13F list as soon as it is published by the SEC and retrieves the data, which is then securely cross-referenced against the positions our clients hold. If a disclosure obligation is found, your compliance team is automatically notified and able to generate a pre-populated form to send to the SEC. 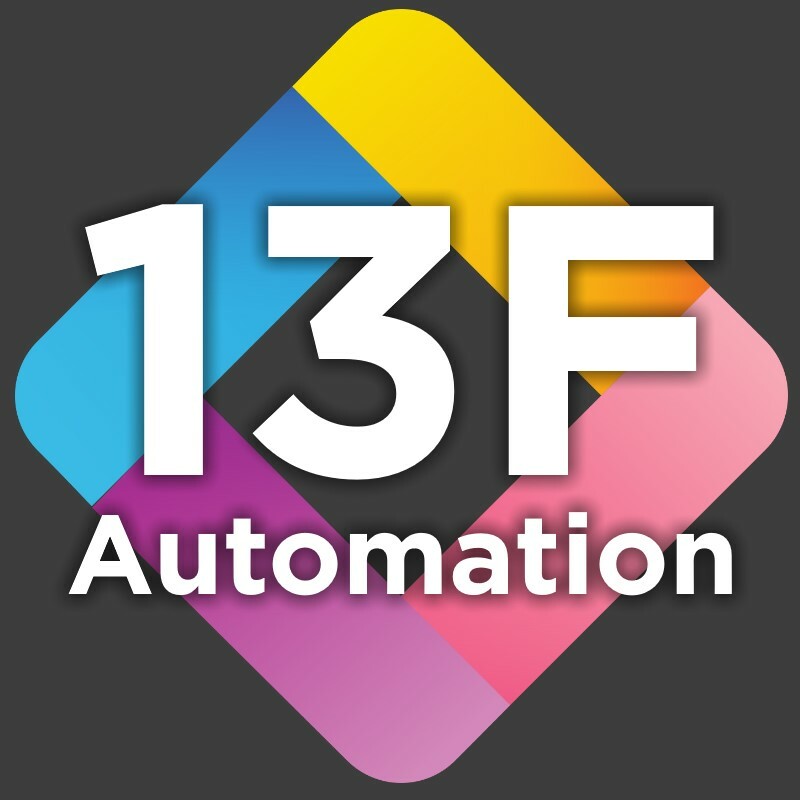 We take the complicated 13F process and make it simple: no Microsoft Excel frustrations, expensive consultants or other 13F related actions are necessary. Yet, still at the end of every quarter, 13F - this simple combination of a letter and two numbers - strikes dread into the heart of many compliance officers! For most, it means spending hours manually searching and comparing, one-by-one, a list of security names and a proprietary identifier called CUSIP¹ just to complete a regulatory report. 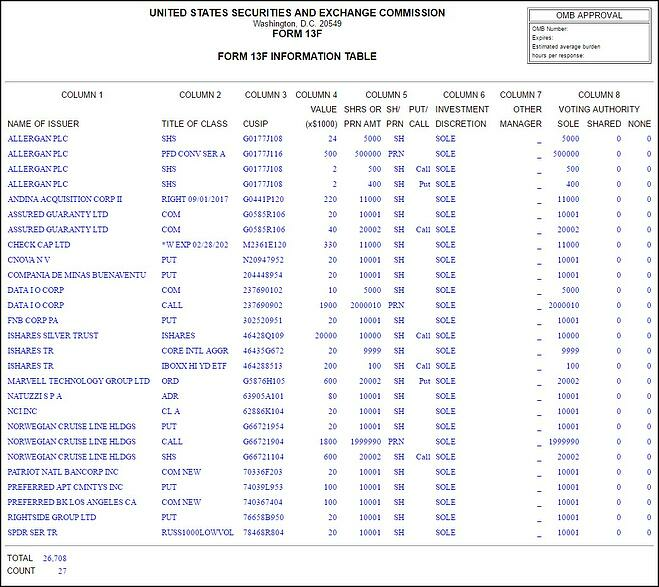 To quote the SEC, “[The 13F list] is not available in paper copy format or on computer disk.” Don’t we all just love spending our time manually comparing a list of assets and their identifiers to another regulatory list! Don’t we love it even more when one of the lists isn’t easily searchable and not formatted or structured beyond being displayed in PDF format? The 13F table generated automatically by FundApps' Shareholding Disclosure service. While the 13F process is the perfect job for a program to perform, it is still done manually by compliance staff at financial institutions around the world. Countless hours are spent across the industry on a task that, when properly automated, can be done very quickly and accurately. It’s worth noting that using Microsoft Excel does not count as “proper automation”! Instead of just looking for 13F data in a usable format and bundling it into a spreadsheet, why not automate the entire process by which we determine whether a held security (or derivative) is reportable? FundApps’ automated Shareholding Disclosure does this for you. Let’s explore how to determine if a security is reportable under section 13F properly. It depends on the asset class. All of a sudden, the simple CUSIP comparison takes on an extra layer of complexity. For equities, depository receipts, convertibles, rights, and warrants, and ETFs, we should check the CUSIP of each of those instruments themselves to see if they match a CUSIP on the 13F list. For options, although it looks as if the 13F list includes a CUSIP for the option instruments itself, these are unreliable (We’ve haven’t yet met a player in the industry who can consistently source and accurately match CUSIPs from the option instruments themselves). Therefore, one must check the underlying security’s CUSIP (usually equity) against the 13F list of CUSIPs, to determine if the option itself is 13F reportable. We aren’t done yet, as we can now apply a filter (see SEC FAQ #39) on what is reportable. For all 13F securities of a given issuer (company), we should add up the quantity of securities held, but adjust any options held so that the count is based on “option holdings to purchase only such amounts” (see section 10 on the 13F Instructions). That number should be 10,000 shares or more. However, there is even more to think about with 13F! We now need to add up the aggregate fair market value of all securities (except convertible bonds) in that issuer and ensure it’s USD 200,000 or more. For options we will also need to evaluate the market value based on “option holdings to purchase only such amounts” (noted above). For the convertible bonds we hold in the issuer, we should also make sure the sum of their face values (principle) is over USD 200,000. Having fun yet²? Translating the 13F list into some type of searchable, formatted state. Ensuring we have CUSIPs for all holdings (and underlying CUSIPs for options). Comparing each security’s CUSIP against the 13F list. Checking the underlying security of options for CUSIP matching. Obtaining fair market values (and principal amounts for convertibles) to ensure the “de minimis” thresholds are met. Performing the appropriate summations by issuer and removing securities that aren’t required to be reported. Suddenly it no longer seems like manual comparison, or even a spreadsheet is up to the task. The good news is: this can be automated! With FundApps’ automated Shareholding Disclosure service, most of the difficult work is done for you. Our platform sources the latest 13F list as soon as it is published by the SEC and retrieves the data, which is then securely cross-referenced against the positions our clients hold. If a disclosure obligation is found, your compliance team is automatically notified and able to generate a file ready to send to the SEC. To find out more about FundApps’ automated Shareholding Disclosure software, book a demo or contact us for more information. ¹Why a regulatory reporting regime would require matching using a proprietary identifier is beyond us, but that’s another battle! ²So far, we’ve just talked about figuring out which securities held are reportable. Ensuring the 13F form is filled out correctly is another task - more to come on how that can be automated as well. Some of the issues there are: a) ensuring we list the official 13F Title of Class on the report, and b) ensuring all columns in the 13F table are correct, among others.